To kick start the month of June, TheatreWorks is thrilled to present a series of dramatised readings happening on 3rd June 2017, from 2pm to 10pm. 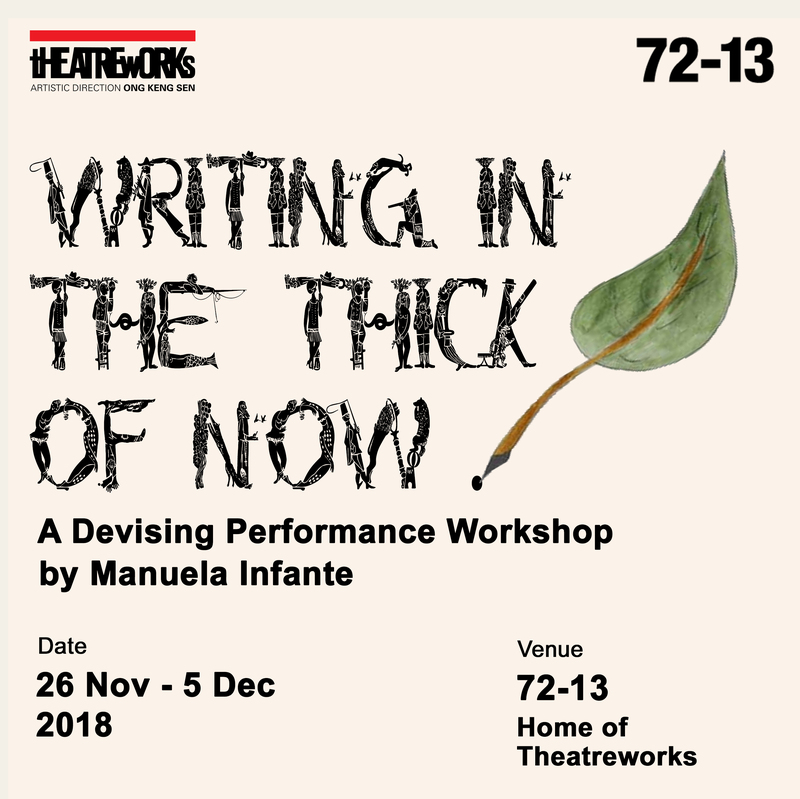 In line with our Writing from The Heart Workshop starting from 29th May to 4th June, these readings will showcase the work of three talented playwrights who have participated in the previous round workshop in 2014/2015. Since the workshops, these three writers have received guidance from acclaimed writer Tony Perez, through a series of dramaturgy clinics. TheatreWorks is dedicated to nurturing and developing new writing from the community. Our script development focuses on exploration and creative dialogue between artists, away from the pressures of performance outcomes. It is not intended that writers will produce a performance-ready script by the end of the entire process; nor to conclude the process with the public reading this June. It is more to get feedback and responses from an interested audience to help contribute to the development of these newly written scripts. Father and son. Estranged. They return to a house filled with memories, both pleasant and painful. The two men negotiate each other, as they share secrets and lies. Through intimate conversations, multiple swearings, and loads of baggage, emotional and otherwise, this forgotten space opens up to be more dirty than it appears. Together, they try to make it livable again. Can they find the comfort they long for in a home they never quite belong? William and Sam have the perfect relationship. Sam doesn’t want children; William doesn’t want to be married. 13.13.13. explores the form, substance and intimacy of a relationship when a binding agreement unravels. Exploring the conflict between pursuing our dreams and the pressures of the practical aspects of life. Whether it’s missed opportunities of the past we hold on to or the “if only” events we long for believing they will make our lives better. When faced with a second chance, will you dare to take it and is it truly the answer to a more perfect life? Are our ideal scenarios we imagine truly as perfect as we project them to be when they play out in real life? Do we chase our ideals or learn to be content with what we what have? Told through a complicated relationship brought about by situational circumstances, GIRL takes a second chance to pursue what she always believed would make her life more perfect at the expense of what she has. Life is messy and complicated. And the ones who stay in our lives are the ones we choose, who choose us back. –If you’re keen, head over to our Eventbrite at to register! Don’t wait any longer; reserve your seat now! Photos from the Prize Presentation of the 24-Hour Playwriting Competition 2017! The Prize Presentation of the 24-Hour Playwriting Competition! ‘One play in one day’ – TheatreWorks 24-Hour Playwriting Competition featured in The Straits Times! Writing exercises to flex your creative muscles! Congratulations to the winners of the 24-Hour Playwriting Competition Prize Presentation 2016!